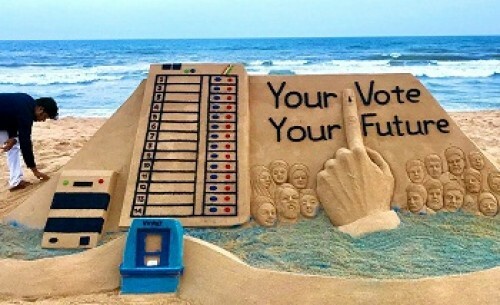 Using art to raise voter awareness, Odisha-based sand artist Sudarsan Pattnaik on Thursday created a sand art sculpture 'Your Vote, Your Future', urging people to cast their vote as the first phase of parliamentary elections got underway. 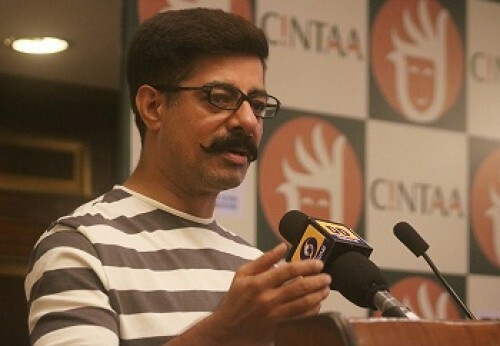 The head of the Odisha Lalit Kala Akademi, Pattnaik took to Twitter to request "all voters to vote for nation's development". 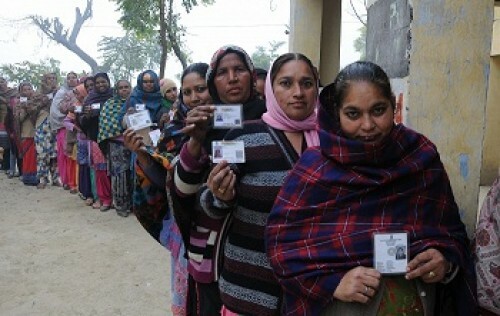 Taken against the Bay of Bengal, a photograph showed the sand art at the Puri beach, depicting the diverse people of India, an Electronic Voting Machine (EVM) and an inked finger showing the casting of vote.